When lending our iPhone to our kids, siblings or friends, it's not uncommon to have it returned with what seems like a million apps open in the background. What's worse is being too lazy to close all those open apps, in turn having our battery drain much faster than normal. You can easily force-close running apps one by one (or even three at a time) in the multitasking menu, but when you have 50 or 60 app previews to close—it takes forever. Since we've got jailbroken iOS 7 devices, we can skip all that flicking for an easier, one-gesture solution. 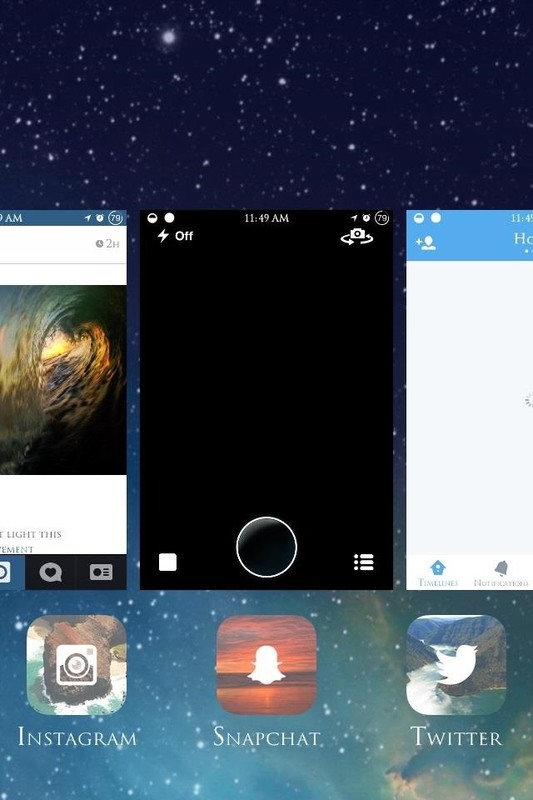 With a simple tweak to our device, we can long-press on an app preview and choose to close all apps at once. On your jailbroken device, open Cydia to search for and install Purge. There are no settings for this tweak, so you'll be ready to roll once your device restarts. 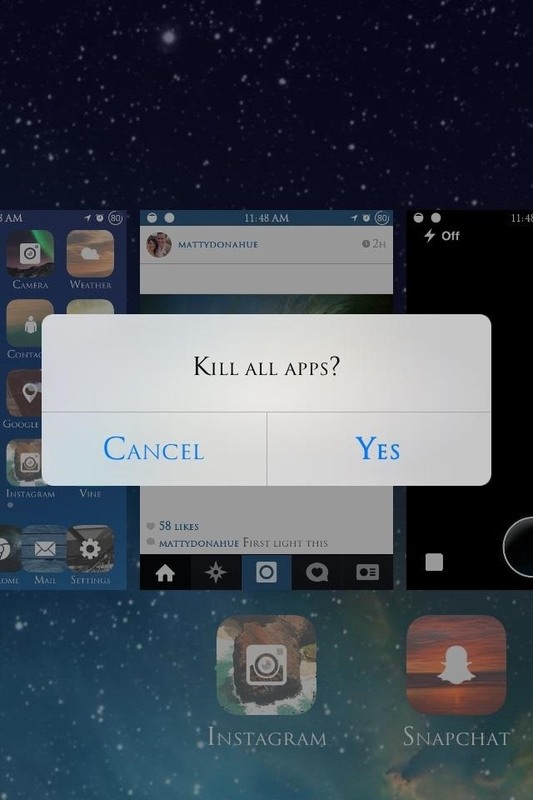 To utilize the tweak, simply go into the task switcher, hold down one of the app thumbnails, and choose Kill All Apps. From here on out, you can quickly and easily close all running apps in steps, increasing your battery life in the process. Hi. Loved ur font in the phone. Could I know which cydia theme or source u used? Definitely! It's through BytaFont 2 and it's called Trajanus Romen.